TODAY'S LABS MUST PREDICT FUTURE RESEARCH NEEDS. McCARTHY IS DELIVERING TOP LAB FACILITIES ON CAMPUSES FROM COAST TO COAST. McCarthy’s collaborative process: Define, Develop, Validate & Repeat is bringing successful labs to top research universities in Arizona, and across the country. 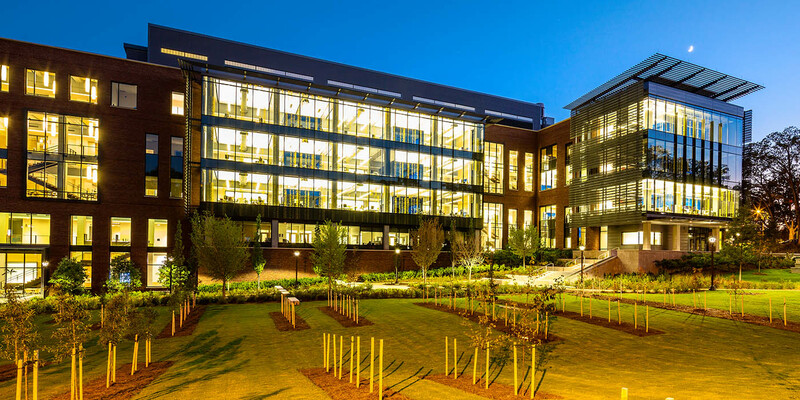 Having exceptional research lab facilities is critical to the future of healthcare research and to the success of top research universities across the United States. McCarthy’s lab and research building team has developed a proprietary process, tailored to the lab and research communities to successfully address the challenges presented by the unknown nature of today’s lab projects. Define: Collaborate with the entire project team, which typically involves numerous public and private entities ranging from post-doctorate fellows to private industry, to define the goals of the lab project. Develop: From input from myriad stakeholders, McCarthy creates programming addressing each user-group and reviews with stakeholders for additional input. Validate: Based on stakeholder input, the programming is applied to the project, pricing is updated and stakeholders validate both the program and budget as we work diligently to maintain the target value budget and schedule. Repeat: McCarthy understands that lab projects are constantly evolving, and details of the lab space vary for each researcher. Therefore, our process takes this into consideration, and we proactively work with the owner and stakeholders to adjust lab space design throughout the project, which ensures that the research space addresses the individual needs of each stakeholder and researcher. Our thorough process is highly valuable to the long-term success of research labs. Because we know our success is dependent upon the success of our clients and their projects, we embrace the process and are constantly finding ways to further perfect it. We’re invested in the success of research labs. We’re invested in the future. Our collaborative process is succeeding. Our teams have helped top research universities to build research labs that accommodate research needs of today, and for the future. And, we’re bringing our process, our experience, and our expertise to new lab projects in Arizona, and elsewhere.